Hemel Hempstead has become one of the UK’s largest industrial and business areas with hundreds of companies based there. The town’s broad-based economy has created economic stability, which has encouraged companies from a wide range of sectors to operate in the area, including electronics, IT, digital communication, film and media, oil, HR, aerospace and pharmaceutical businesses. Major international companies have a presence in the town – BP and Kodak also have historical links. Other notable presences are Amazon, Britvic, ASOS.com, Bourne Leisure and the British Standards Institution amongst many others. For those looking for a large conglomeration of companies , the town is host to Maylands Business Park which is one of the largest business parks in the East of England. It’s home to over 650 businesses that employ over 18,000 people. 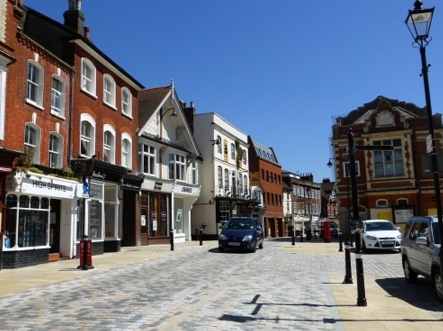 Other business parks are nearby in Berkhamsted and Tring which opens up the opportunities still further. If you’re doing business in Hemel Hempstead, it’s a great place to have your base even if you don’t have an office there. Rent a meeting room, desk or fully equipped office at the Breakspear Park Business Centre for an hour, half a day, day or longer. This kind of arrangement is perfect for business people who are on the move but still need a professional working environment. For those who want less bustle and more privacy, a serviced apartment can provide exactly what you need. Larger than a hotel room and with plenty of table or desk space, many business people find them perfect bases when they’re on the move. Another thing that makes Hemel a great place to do business is because of the support from the local council. Dacorum Borough Council has established a new organisation, Dacorum Look No Further, which provides a dedicated team of experts to help local business, especially start-ups. For instance, they organise networking events, provide subsidised training, and have free access to business mentors via web chat. In the future, this should ensure small companies will grow and further contribute to the area’s thriving business economy. If you’re interested in renting one of our serviced apartments, with onsite parking, 15 mins walk to the station with wifi, phone and Sky TV, contact us now.